When was the last time you helped someone? Do you hold the door open for the person behind you when you enter a building? Have you picked a stranded friend up at the airport recently? Would you let distant relatives stay at your house? Our willingness to help others is a common thread that defines us as humans, but our guest this week has made this basic tenet her life’s mission. This passion for people is a product of the long and arduous road she has had to walk. Vesna Stone grew up in Macedonia, at a time of relative safety and stability in this little country nestled between Greece and Serbia. 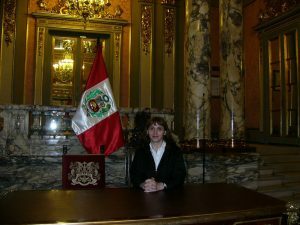 She knew peace and economic security would not last much longer in her country, so she sought a stable country and better life for her child. It took over two years with rolling 30-day deadlines requiring health, housing, employment, and financial documents (just to name few), but Vesna and her family finally acquired green cards. They flew directly to Corvallis to start their new life in America. 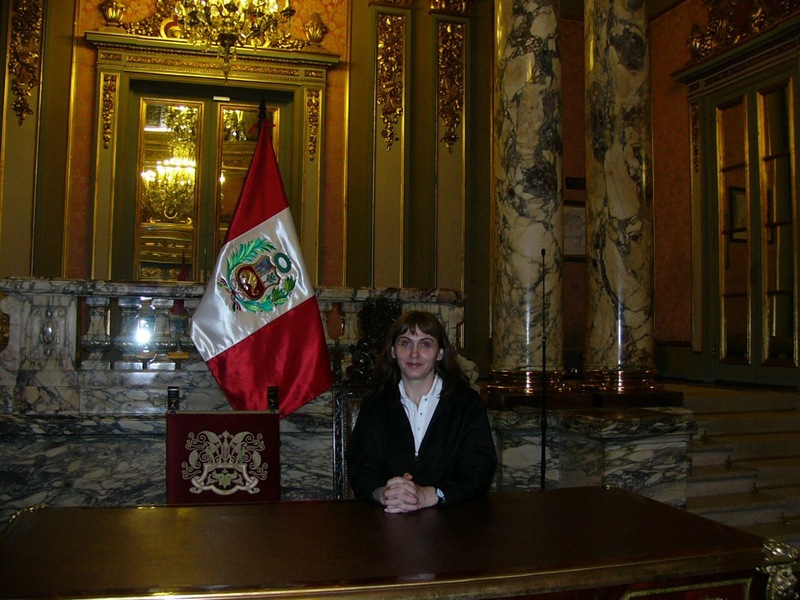 Vesna at the Rotary Visit of the Presidential Palace of Peru – the presidents desk. July, 2011. Finding work as a foreigner is tough. Vesna’s english and people skills landed her a job at the Ramada Inn. Her husband however, who spoke no english, was struggling to find work. To solve that problem, Vesna made a very interesting wager with the manager at the Georgia Pacific mill. It worked out, and her husband worked there for many more years. After traveling all this way, an entry-level job wasn’t going to suffice for Vesna. An education can often be the difference between minimum wage and a well paying job with benefits. So Vesna found a graveyard shift at Hewlett Packard (HP) and went back to school, first at Linn-Benton Community College, then at OSU. After years of going to class in the morning, taking care of the kids in the evening, and working all night, Vesna eventually got her bachelor’s degree. She moved on to the first class job she had dreamed of at the Department of Human Services (DHS). Vesna is now back in school to pursue a Masters degree in Anthropology. She has focused on a problem affecting students around the country. Many are faced with the impossible hurdle of not having enough food to eat. To put it in perspective, 20% of Oregonians are participating in Supplemental Nutrition Assistance Program (SNAP), formerly known as Food Stamps, as of 2015. 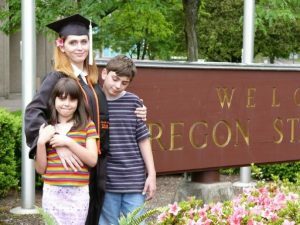 Oregon has a resident participation rate that falls in the top five states in our country, however, even here, there are additional hurdles to receiving assistance if you are a student. Imagine studying for your midterms without lunch, or coffee, or the ability to snack on your pretzels to help you cram in that last chapter. Now imagine the frustration fellow classmates have when they realize it’s easier to participate in this crucial food assistance program if they were not enrolled in classes and instead sitting at home. Vesna saw this problem not through scientific journals or reading the newspaper, but through her own eyes and ears. While working at the DHS, she kept hearing the frustration from students trying to get the assistance they desperately need. 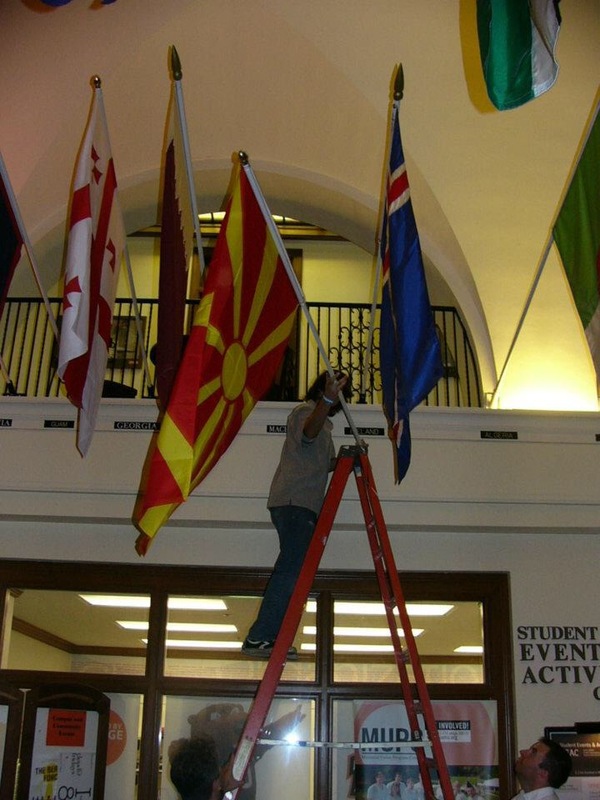 Those conversations with students, and her unending passion for wanting to help others, has lead Vesna to pursue a Masters degree while also being a full-time employee at a local office in the DHS. There is so much more to this story that we’re leaving out, but to hear about Vesna’s experiences and future directions be sure to tune in Sunday February 12th at 7PM on 88.7FM, or listen live! EDIT: For those looking for more information on the SNAPS program, you can see Vesna’s presentation provided by the Coalition of Graduate Employees, or OSU’s extension website. You can also find out more about Vesna on her website. This entry was posted in Anthropology, College of Liberal Arts and tagged food assistance, Immigration, SNAP on 2017-02-11 by Adrian Gallo.